The messaging applications are gaining a lot of popularity across the world as tools social entertainment networking. The apps have uses that are more than just messaging and texting. There are diversified options that you can consider. Almost all of them allow the users to send SMS messages and make voice calls for free, either over the users’ smartphones data plans or Wi-Fi connections. It is all about technology. 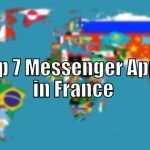 Just like other developing and developed countries in the world, the Spanish people are also enjoying the use of these apps. Whereas, there are very few Spanish based instant messaging apps, the following five apps are widely used in Spain. The FB Messenger is strictly focused on sending messages. This is a well establish mobile application that has not only gained popularity among the Spanish people but also the across the world. 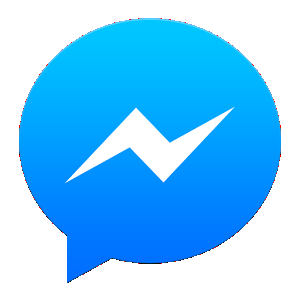 In case you are using Facebook with your family and friends, then the Facebook Messenger is the convenient way of interacting. You will either need your cellular network or Wi-Fi. Its added bonus is the fact that you can place voice calls by the help of the internet rather than using your carrier charges. Just like Facebook, the Whatsapp application is widely used in Spain. This app was bought by Facebook last year for about nineteen billion dollars. Currently, the apps enjoys over 500 million active users across the world. You can easily download the app for free and install in your smartphone device. The app will auto sync your contacts. It is supported by Symbian, Android, Windows Phones, BlackBerry, and iPhone. Some of the key features of this app include voice calls, sending videos, audios, texts, and pictures. Line is a Japanese application for mobile instant messaging. This app has got over 500 million users across the world and it’s also a favorite for the Spanish people. The app is available on all smartphones including Nokia, BlackBerry, Windows Phone, Android, and iPhone, as well as PCs. With this app, you will not only send and receive instant messages but also make free voice calls over an internet connection. The entertaining part of this app is its ability to send emoticons, stickers, and cartoon images. The Viber app was released back in the year 2012 and it currently have over 300 million active users across the world. This app is also widely used in Spain b the Spanish people. Among the young adults, the app is used for sending instant text messages, images, videos, and making free voice calls. The Viber has got also the fun stickers and an ability to create chat groups. After installation, this app auto syncs your contacts. WeChat allows its users to send voice, video, text, and photos to one another over an internet connection. This app is based in china with over 70 million active users outside the country and over 300 Chinese users. The Spanish people are among the users who enjoy the services of WeChat outside China. The app works on BlackBerry, Symbian, Windows Phone, Android, and iOS devices.